For more than 30 years, the team at Mahneke Motors has helped Goleta and Isla Vista residents resolve their vehicle-related problems. We have extensive experience with many different makes and models of cars, as well as with a variety of car problems. 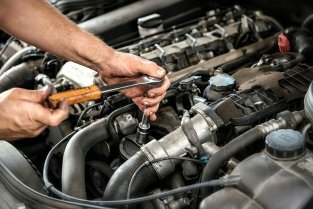 From routine maintenance to repairs, our Goleta auto repair shop can do it all! If you believe your car is having transmission problems, bring it to us and let our highly trained technicians help. Our team strives to keep costs low and customer referrals high by providing exceptional auto repair services. If you are searching for a local, trustworthy auto mechanic, come to Mahneke Motors! For more information, please reach out to our repair center by calling (805) 681-0021!